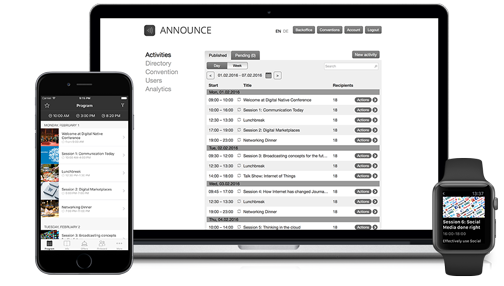 Announce is an innovative communication system for trainings, seminars and trade fairs. It enables real time communication to all participants by actively posting relevant and valuable information to them. Change of plans, five minutes before the start of an event? No problem with Announce! 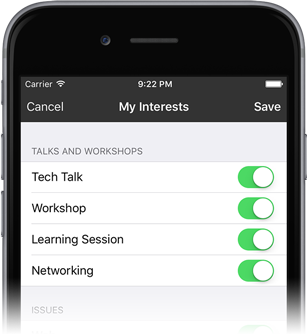 By entering information on Announce's administration website, it is immediately available on the participants' mobile phones. Announce is your communications control center. You know everything about your guests. Except what they are doing in your property - Announce closes this knowledge gap..
Few things are as valuable as your member's feedback. Announce makes giving feedback easier than ever.